Kentrell Reese grew up in Roseland. He was an honor student at Gillespie Elementary. “Chicke" — that's what his mom called him — played basketball, ran track and had a knack for cutting hair. Ever since he was a kid, he wanted to open his own barbershop. Chicago Police Officer Michael Pettis is a South Side guy, too. He graduated from Leo Catholic High School, Class of 1987. Pettis always wanted to be a federal agent. But when a job in the Chicago Police Department opened up, he jumped on it. He liked his bosses, the new friends he made — everything, really — about being a police officer. On July 16, 2007, "Chicke" and Officer Pettis met in a gangway near a garage just off the alley in the 9100 block of South Prairie. It was a defining moment in both their lives. DNAinfo Chicago took a closer look into the aftermath of that day in the Gresham police district as part of an investigation into police officers who lie, the Police Department's code of silence — and the little-known provision in the police disciplinary code known as Rule 14: "making a false statement, written or oral." The lies police tell have a serious impact on regular folks and police officers all over Chicago, DNAinfo Chicago found. Some people have lost their freedom, careers and trust in the justice system. And officers, even decorated police brass, have tarnished their reputations, disgraced the department and cost taxpayers millions of dollars. This is the story of what happened when a "regular teenager" and a "save the world" police officer encountered each other on a perfect summer afternoon in Black P Stone gang turf on the South Side. Independent Police Review Authority investigative findings, police reports, civil court records, deposition transcripts, hospital records, City Council minutes, newspaper reports and interviews help paint a picture of the effect that lying and covering up have on everyday Chicagoans. Just before suppertime on that July 2007 day, Pettis and his partner were working a "saturation" unit in an unmarked squad when a call came over the radio: "Man with a gun." They rushed to 92nd and Forest in Roseland, where they came upon three teenagers who matched the dispatcher's description of the armed man. Reese, who was 14 at the time, made a run for it. Later, Reese would testify under oath that it was a "trick." He didn't have a gun at all. He ran to draw attention away from his pal, a Black P Stone gang member carrying a .357 Magnum. Reese jumped a fence and headed north on Prairie. Pettis, who told fellow officers he saw Reese with a gun on his right hip, chased him. Reese hid behind a garage. That's where he met Pettis. Pettis and Reese tell different stories about what occurred during those few seconds before a bullet from Pettis' gun ripped a hole in Reese's left arm and lodged in his left hip. “You shot me," Reese said. "You bogus." "Chicke" and Pettis' lives were never the same. Kentrell Lavail Reese was born in February 1993. He grew up in Back of the Yards until the neighborhood got too rough. And about the time he moved, his parents broke up. He was 5 years old, the youngest of five kids. “He was a good boy. Some people think he had potential because he's very smart," his sister Selena King said in an interview. "He could talk his way out of anything." Reese liked to play basketball and cut hair. “From like 7, he said he wanted to be a barber," King said. "So my mom would buy him — like every Christmas or every birthday, he'd get updated barber stuff and cut people's hair." In 2004, when Reese was 11 years old, his mother died suddenly during routine outpatient surgery. His father wasn't around. So, his grandmother, Mildred Reese, raised him. And King helped out a lot, too. Despite all their efforts, Reese started acting out at school. "Every time I turned around they were asking me to come up to the school because he was disrupting classes and stuff like that. … So I had him in therapy. … [The therapist] wasn't getting anywhere with him," King said. "I asked [him], 'What's wrong?' … He said, 'Because people die.' That meaning he and his mother were extremely close. So, you know, I just seen him change into a whole different person." This new version of "Chicke" didn't seem to be dangerous. He wasn't in a gang and had never been arrested like his older brother, Kirby. Kirby Reese was trouble with a capital "T" — a Black P Stone gangbanger and a neighborhood "menace," who spent much of his youth in and out of juvenile jail, King said. “It didn't matter if it was really gang-related, but just the fact that [Kirby] was himself and always starting stuff," King said. "And always antagonizing people. He's a big antagonist." But Reese did give into peer pressure and started to hang out with the wrong crowd. That might not be a big deal for teenagers in some parts of town. But in Reese's corner of Roseland, the wrong crowd pressuring him included kids who carried guns. After graduating from Leo High, Michael O. Pettis attended St. Xavier University on the South Side, where he got a bachelor's degree in criminal justice. He moved to Los Angeles for the sun and new opportunities, but came back after a year to work as a car salesman at a south suburban dealership. Pettis left that job to investigate insurance claims and later returned to St. Xavier as the assistant director of admissions until joining the Chicago Police Department in 1998. After about six months in the academy, Pettis got assigned to the Calumet District in Pullman. He worked midnights on patrol. Sometimes, he worked shifts in plain clothes in unmarked cars. After a few years he joined a "targeted response unit," a citywide tactical team. “It was just a very, very — very nice job," Pettis testified in a civil court deposition. On the day Pettis shot Reese, his unit was on patrol in the Gresham police district. It wasn't until Reese was on the ground bleeding that Pettis realized the boy was unarmed. While being treated for the gunshot wound at University of Chicago Hospital, Reese told a hospital caseworker that he got shot after he stopped running, put up his hands to surrender and came "face-to-face" with Pettis. Pettis initially told his partner, two other officers and an assistant deputy superintendent at the scene that he didn't mean to shoot Reese — his gun unintentionally went off. That detail — that the shooting was an accident — was included in incident reports, and later confirmed by officers in court depositions. The unintentional discharge of a weapon is a violation of Chicago police rules that can get an officer fired. Pettis read the incident report and signed off on it before it was finalized. Police held a "roundtable" and determined the shooting was justified. And that's when Pettis' story changed to say that he intentionally shot Reese and denied ever saying the shooting was an accident, according to IPRA investigation records. Pettis told investigators under oath that Reese lunged at him from a crouched "attack" position. He thought the boy was armed and, fearing for his life, shot him intentionally. In August 2009, IPRA sustained charges that Pettis violated department rules for accidentally firing his weapon. They also tacked on a Rule 14 violation for making false statements — alleging he lied about whether the shooting was accidental. IPRA's acting chief Scott Ando and police Supt. Garry McCarthy both have said that officers who violate Rule 14 should be fired because officers found guilty of lying have serious credibility problems when testifying in court and because it has a negative effect on the Police Department's reputation. On July 16, 2007, 14-year-old Kentrell Reese (top) and Chicago Police Officer Michael Pettis met behind this garage in Roseland. What happened after that meeting changed both their lives forever. But since 2008, that hasn't been the case for most officers IPRA found to have violated Rule 14. IPRA recommended suspension for 55 percent of officers charged with making false statements, DNAinfo Chicago's probe found. Pettis was among that 55 percent. IPRA recommended he serve a 20-day suspension for accidentally shooting an unarmed teenager and lying about it. 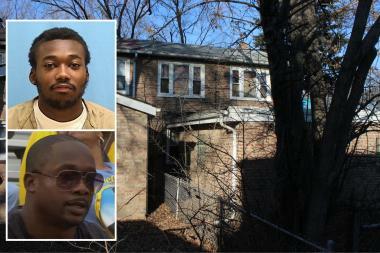 After getting shot, Reese was taken to University of Chicago Hospital in Hyde Park. The bullet ripped open his left forearm. Even after several surgeries, he lost feeling and dexterity in his left hand. The bullet lodged in his hip, which made it hard to walk. His basketball days were done. And his crippled hand made him "lose his mojo" for cutting hair, too, King said. A hospital caseworker asked Reese why he ran from police and why officers thought he had a gun. “If you would see my neighborhood, you would understand," Reese said. "It's bad." The caseworker's notes also state that three separate times Reese shed tears and uttered, "I can't believe he shot me. It's just not right." Selena King said her little brother was never the same. He felt his life was hopeless and worthless. The breakup of his family and the death of his mother were hard enough. Getting shot by a cop — and later watching officer Pettis testify under oath about it — pushed him over the edge, she said. Actually, it was worse than that, Reese said. “He used deadly force out of fear in which it was nothing to fear. I was just a regular teenager on a regular foot chase," Reese wrote in a letter to DNAinfo Chicago. “The shooting just made my feelings about the CPD all the same. F--- 'em. … When I finally got to hear Michael Pettis side of the story [I] knew the guy was a coward. … He didn't want to look me in my eyes at my deposition. That tells me a lot about him. A man looks another man in his eyes, and when they don't it's a sign of fear." In October 2007, Reese's grandmother and legal guardian, Mildred Reese, filed a civil lawsuit against the city. Attorney Yao Dinizulu took the sworn testimony of officers — including Pettis, a captain, a commander and an assistant deputy superintendent — who all were on the scene that day. He also questioned former IPRA chief Ilana Rosenzweig under oath about the investigation into what happened and the conflicting stories Pettis gave at the scene and to investigators. "They had the initial meeting that day where [Pettis] got lawyered up. From that point on he said he intended to shoot the boy," Dinizulu said. "Why is that significant? You're not supposed to accidentally discharge your weapon at any time. … That's grounds by itself to be discharged. So, it was critical at that point for him to say, 'I intentionally shot this boy.' However, the report had already been written up." And when Dinizulu interviewed officers who were at the scene, some of them testified that Pettis said the shooting was an accident as they had written in initial reports. Others testified Pettis shot Reese intentionally because he feared for his life. Pettis told DNAinfo Chicago, "I meant to shoot him because he had a gun. I clearly saw him with a gun, and when he got shot I was under the impression that he still had the gun when he lunged at me." While the civil suit dragged on, Reese followed in his brother Kirby's footsteps. He joined the Black P Stones and began committing a wide variety of violent crimes. "Gun charges, like it was an assault or some aggravated batteries. Um, attempted murder. Like any charge you can come up with," King said. 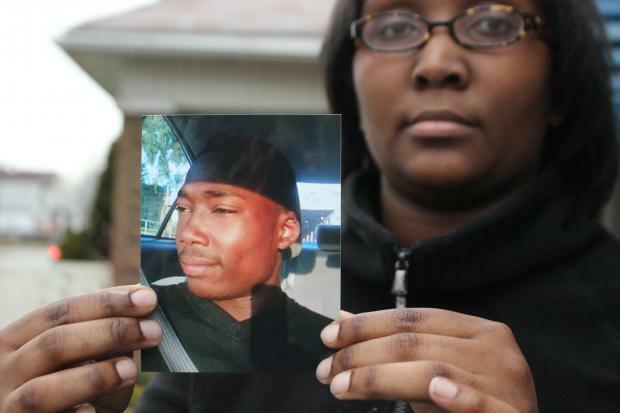 "From 14 to 18 he was in and out of juvenile [detention] for everything you could think of." One juvenile court judge kept Reese in custody and told him it was because, "We don't want to send you home to die," King said. When Reese was out, he was a target of gang rivals and police, his family said. King remembers getting late-night calls from Reese saying, " 'I'm getting shot at. I don't know what I'm going to do.' … His life just became out of control." And it made her life crazy, too. Gang rivals looking to kill Reese once shot up her living room. Even when Reese didn't get arrested he still had run-ins with police. On Jan. 8, 2008, cops picked up Reese and told him that they would let him go if he dropped the civil lawsuit, according to his civil suit. King filed complaints with police, but nothing came of it. Four years later, on May 24, 2012, police spotted Reese accepting a "long weapon with an extended magazine" from his brother and take off running, according to a police report. Later, they found him hiding under a nearby porch and placed him under arrest. Officers recovered two guns, a 9mm pistol and an AK-47 assault rifle, nearby. In the back of the squad car, Reese had a few choice words for the arresting officers. "Y'all found my guns, just take me to the station," a police report states. "I hate the m------------ police." Reese pleaded guilty, got sentenced to eight years behind bars and sent to the maximum-security prison in Downstate Pontiac. Officer Pettis testified under oath in a civil deposition that he never served that 20-day suspension. But Pettis didn't go back to the targeted response unit, either. For a while, he worked as a police academy training officer. Pettis said in an interview that he was never the same kind of police officer anymore. “It was just a big mess. The bottom line is that type of thing alters somebody's life. It altered his life. It altered my life," Pettis said. "Everything turned out OK, but nevertheless, a lot of folks can be affected by an incident like this." Pettis now is back on patrol in the Calumet District where he got his start. “That case changed me because I felt like I was under the gun when I was just out here doing my job. I don't think I'm as aggressive an officer. I'm not gonna be a save-the-world officer anymore. I love my job; if I didn't I probably wouldn't be doing that anymore," Pettis said. “I don't work in the evening anymore. I have enough time in to lock down one of those all-coveted day shifts that most officers want," Pettis said. Over the summer, Pettis had a little time off to watch his son, a slugger on the Jackie Robinson West all-star team, make a run at the Little League World Series. On Aug. 8, ESPN3 showed Pettis in the stands cheering after his boy hit a line drive down the third base line to drive in a run against the Burlington, Wis., team in the Great Lakes Region semifinals. “And there is dad, he's out of uniform," the announcer said. "And he's excited now, too." While Pettis enjoyed that game, Reese, now 20 years old, was locked in solitary confinement for getting in a brawl at the Pontiac Correctional Center. He says he doesn't think much about the cop who shot him, but when he does he remembers how the lie Pettis told changed his life, again. But more recently, that change has been for the better. In December 2012, the city settled Reese's civil suit. City attorneys told the City Council Finance Committee, "If this case were to proceed to trial, the city would face great difficulty overcoming officer Pettis' conflicting statements as to why he shot 14-year-old Reese," according to news reports. City attorney Leslie Darling also said that Reese would be "sympathetic to the jury by virtue of the fact that he was an unarmed 14-year-old who had … Police Department employees testifying on his behalf." The City Council voted to approve a $500,000 payout. "Thanks to Mr. Pettis, I got a whole life still ahead of me. So, I kinda thank him. But I got a plate and bullet in my hip and walk with a limp. But it's all good. Justice was served," Reese wrote from prison. "I smile a lot these days 'cuz we ain't broke no more."